Our House has an Anchor: Hello, cello! When I was in the 5th grade, the local high school orchestra conductor came to my elementary school in an effort to recruit students for the 5th & 6th grade orchestra. To introduce us to the string family, he played a short piece on each of the instruments: the violin, viola, cello, and upright bass. His demonstration inspired me to play the cello. No, it wasn't the deep, warm tone of the cello that spoke to me. Not even close. What convinced me that the cello was the right instrument for me was something much more simplistic and rational. As the conductor played each instrument, I noticed that for all of the instruments except for the cello, he stood while playing. Since orchestra practice lasted for at least 30 minutes (an eternity when you are in the 5th grade), I decided the most sensible thing to do was to play the instrument that required the musician to sit while playing. This story horrifies most musicians, but it is the truth; I decided to play the cello because I got to sit down. 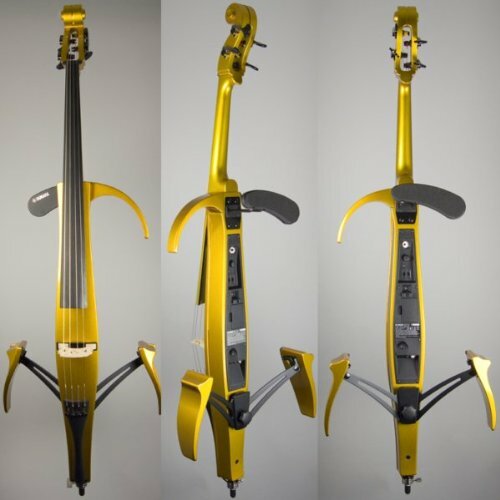 Despite my rather rudimentary way of selecting an instrument, I quickly learned to appreciate the finer, more complex characteristics unique to the cello. It is a beautiful instrument that produces a strong, vibrant sound. My parents purchased it for me when I was in junior high, and I’ve had it ever since. While I learned the basics on a slightly smaller beginner’s cello, I honed my technique on the German instrument pictured above. Now, when I think “boat,” I for sure don’t think “cello.” That is because cellos and boats don’t have anything to do with one another, nor should they. This is especially true when the boat is located in a tropical climate, like our boat will be. 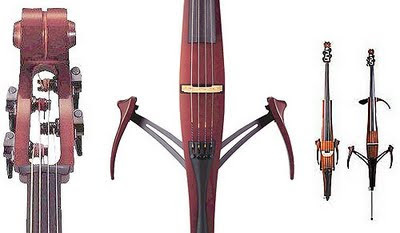 Cellos are made of wood and can warp when exposed to heat and humidity. In addition, they are rather large and require even larger cases. Since boats aren’t designed to accommodate large string instruments, it probably wouldn't surprise you to discover that our boat doesn’t have room to store something the size of a coffin. Even if we had the room, there was no way I was going to bring my cello on board and risk damaging it. I’m not a writer, so it is hard for me to express how much my cello means to me, so I will just say that I love it. I love my cello so much that I’d rather it be owned by someone else than have something happen to it on our boat, which would be guaranteed. So, my cello had to go. OK, the actual instrument pictured above isn’t coming on board; however, I am now the proud owner of the same model. Sadly, mine isn’t gold. I'm a traditionalist after all. Not too bad considering my old case was the size of a small adult. Although my new cello is electric, I can play it with or without an amp (without the amp the cello sounds slightly muted, but distinctly cello-ey). Additionally, I can also plug earphones into it and practice without anyone having to listen –something I think my marina neighbors will appreciate. Although I will miss my old acoustic cello dearly, I am very pleased with my new instrument, and am extremely happy it will be on board Sea Gem. looks like it came from star trek. pretty cool. The engineer in me finds this so darn cool! The aspiring (read bad lol) ukulele player in me wants to hear it. Thanks, Ryan! It is really cool :)I'll be sure to show it to you when you visit!